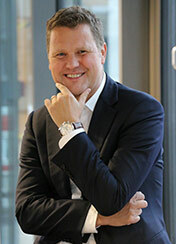 Stephan Hölzl became a member of the Board of Management of Robert Bosch Power Tools GmbH in 2019. He is responsible for Finance/Controlling, Purchasing, Human Resources, Logistics, Compliance and Accessories. He joined the Bosch Group in 1996. Before assuming his current position, he was, among other positions, Head of Inhouse Consulting from 2015 to 2018 and Senior Vice President Corporate Controlling, Planning and M&A from 2012 to 2015. Responsible for Finance/Controlling, Purchasing, Human Resources, Logistics, Compliance and Accessories.